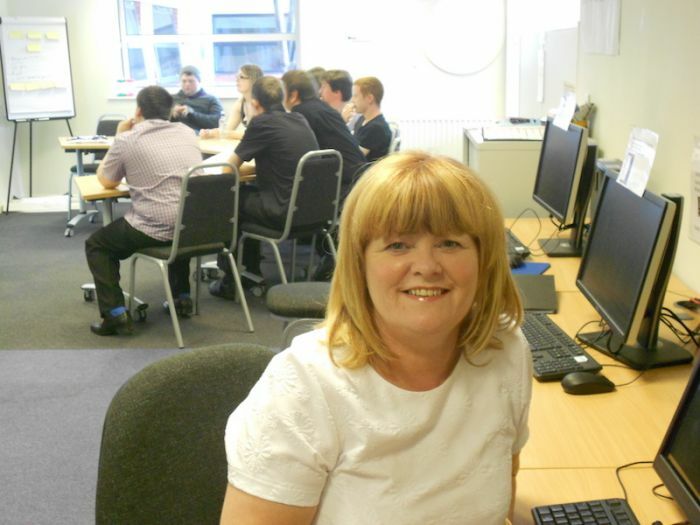 Programme manager Beverley Breen at the Step into Work Plus training rooms in Birkenhead. Autism Together’s Step into Work Plus programme has been shortlisted for two categories in the National Autistic Society’s prestigious Autism Professional Awards. The Wirral-based charity is up for the most supportive employer and outstanding adult services awards. They were shortlised by a panel of 10 autism experts who judged them on their innovation, creativity, impact and sustainability. Step into Work Plus received £265,000 of Big Lottery Funding in 2011. The 24-week programme has, to date, helped 126 people: 42 are now in paid employment, 19 are in voluntary roles and seven are in full-time education. Over 40 employers and work placement providers in greater Merseyside have worked with the scheme, including Pets at Home, Wirral Libraries, the Light cinema in New Brighton and Tranmere Rovers FC. Step into Work Plus takes a holistic and tailored approach to each student and includes coaching in employment skills, such as understanding how to dress smartly and how shop, handle money, take part in social events and travel on public transport. Students even have the chance to create their own micro business. The award winners will be announced at a special ceremony at the NAS’ Professional conference in Harrogate on 7 March 2017. Autism Together is a multi award-winning charity and service provider supporting over 400 people on the autism spectrum. Founded in Wirral in 1968 by a group of concerned parents, we now employ over a thousand staff and have operations in North Wales, Merseyside and Cheshire. Be the first to comment on "Merseyside work placement scheme for young adults with Asperger’s up for two national awards"